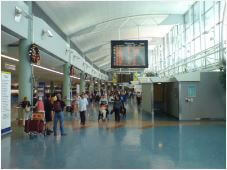 The main gateway to New Zealand’s largest city, Auckland Airport, is one of the busiest airports in the country. With over 60 shops for dining, entertainment and medical purposes, lounges, parking areas and conference rooms, the Auckland Airport also boasts of free WiFi for all it’s travelers so you can stay connected while waiting for the next domestic flight or check on what has happened while you have been flying. The Auckland Airport has one international terminal and one domestic terminal, these are connected with shuttle services. Take note that for the international terminal, passengers will have to undergo immigration verification in the addition to the standard security one. While you might be worried that you don’t have anything on you to prove you have a visa, rest assured that the immigration officers will run your passport through the computer and confirm your visa. As you would expect from an international airport, the Auckland Airport is home to more than 50 tax and duty free product stores. Regardless of whether you want to buy your best friend a Lacoste or Versace, or you are interested in purchasing electronics as a last minute gift for a nephew, you can find them at the Auckland Airport shopping area. If your flights are not far apart and you have an hour to spare, then this would be the perfect opportunity to grab something to eat. The Auckland Airport accommodates many types of diners and restaurants, including Sushi, family restaurants, casual dining and numerous places where you can get a delicious snack. You can buy a local sim card with either Vodafone or 2 Degrees in their outlets at the Arrivals Hall. Both providers offer good packages for tourists and short term visitors. Be greeted by their friendly concierge that will give you a personalised and dedicated service, looking after you, and ensuring an easy, stress-free arrival. Depending on your needs, you can get escorted through duty free shopping, passport control, baggage collection and customs and be delivered safely to your awaiting transport or landside transportation area. By taxi – Taking a taxi to Auckland is a viable option if you are travelling with less than three more passengers. By local bus You can find bus stops outside of both terminals; even though the tickets are cheap, take note that the luggage space is limited. By rental car While you have just been flying for hours, and really just want to get to the hotel, you can rent your own car, and explore on the way to your hotel and enjoy the freedom of driving where you want to go. The recommended way to get to Auckland city is using an airport transfer, regardless whether you are arriving in the Auckland airport for a business meeting or you are coming into Auckland on a vacation. Your concerns about luggage capacity, safety and comfort will be well met with our airport transfer services. 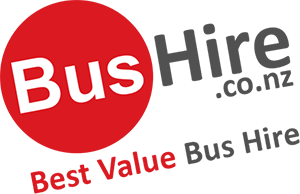 Bushire.com.nz can provide all vehicle types from Sedans to minibuses to full size coaches.